KawaiiPunk - Kawaii Mascot Blog: Halloween Games! 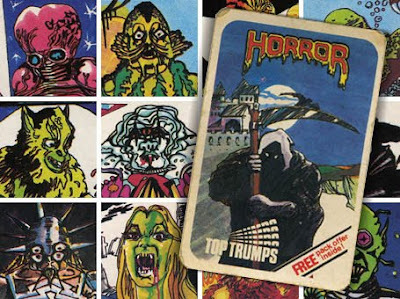 Horror Top Trumps! 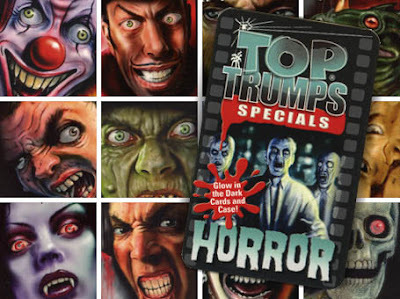 Yes, that’s right, the good folks at Winning Moves have released a brand new set of Horror Top Trumps to terrify a whole new generation of kiddies! And don’t think they’re a watered down version either! The Mad Axeman, Dracula’s Slave, The Swamp Creature and even The Grim Reaper all make an appearance. And if that’s not enough for you, they’ve even got a Halloween set too! So why not head on over and make your Halloween what it should be - SCARY!